Farmingville is a hamlet (and census-designated place) in Suffolk County, New York, United States. The population was 16,458 at the 2000 census. Farmingville is in the Town of Brookhaven. The Brookhaven Town Hall is on the east side of Bald Hill in the community. Sachem High School East is located in Farmingville. The first settlement in what is now called Farmingville occurred in the late 18th century, and was called Bald Hills and Mooney Ponds, before it eventually was called Farmingville (though the soil and hills are not good for agriculture). It did not have its own post office until 1950. 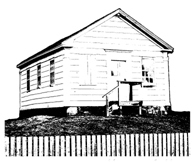 The home of Elijah Terry, the first teacher in the local school, was built in 1823 and sits next to the Bald Hills Schoolhouse, built in 1850. The schoolhouse is in the National Register of Historic Places. "Bald Hill" is one of the highest points on Long Island, and is located on the Ronkonkoma Moraine, where the glacier which formed Long Island stopped its advance. At the top of Bald Hill is Vietnam Memorial Park, which includes an obelisk-shaped monument painted red, white, and blue, which was dedicated on Nov. 11, 1991. The Bald Hill Cultural Center features the outdoor Brookhaven Amphitheater and was previously the location of a ski area from 1965-80. As of the census of 2000, there were 16,458 people, 5,041 households, and 4,229 families residing in the CDP. The population density was 3,642.8 per square mile (1,405.9/km²). There were 5,170 housing units at an average density of 1,144.3/sq mi (441.6/km²). The racial makeup of the CDP was 87.8% White, 1.2% African American, 0.1% Native American, 1.7% Asian, 1.4% from other races, and 1.8% from two or more races. Hispanic or Latino of any race were 8.1% of the population. There were 5,041 households out of which 44.6% had children under the age of 18 living with them, 69.6% were married couples living together, 9.7% had a female householder with no husband present, and 16.1% were non-families. 11.8% of all households were made up of individuals and 4.3% had someone living alone who was 65 years of age or older. The average household size was 3.26 and the average family size was 3.51. In the CDP the population was spread out with 28.3% under the age of 18, 8.1% from 18 to 24, 34.3% from 25 to 44, 22.5% from 45 to 64, and 6.7% who were 65 years of age or older. The median age was 34 years. For every 100 females there were 101.5 males. For every 100 females age 18 and over, there were 99.2 males. The median income for a household in the CDP was $69,148, and the median income for a family was $72,750. Males had a median income of $50,075 versus $31,434 for females. The per capita income for the CDP was $23,755. About 2.1% of families and 3.0% of the population were below the poverty line, including 3.3% of those under age 18 and 3.9% of those age 65 or over. The area is close to nearby major transportation hubs like MacArthur Airport and Ronkonkoma Long Island Railroad. Farmingville is home to Brookhaven Town Hall, Brookhaven Amphitheater, and Bald Hill. Neighbors have organized several events in the community that included landscaping upgrades, planting tress and plants, cleaning streets, and adding planters to the downtown area. During the holidays, residents gather at the Farmingville Fire Department to collect food for families and pass out refreshments. The area is home to several public and private schools. The Sachem School District serves the residents of Farmingville and is also one of the largest districts on Long Island. 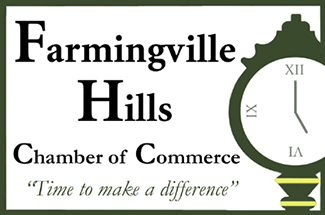 Copyright ©2014 Farmingville Hills Chamber of Commerce, Inc.